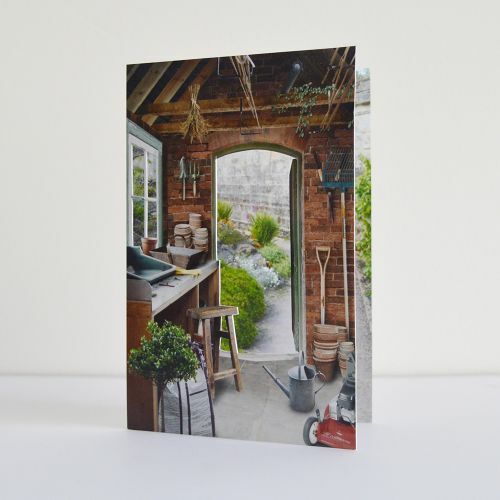 Potting Shed | Greeting Cards | Window. 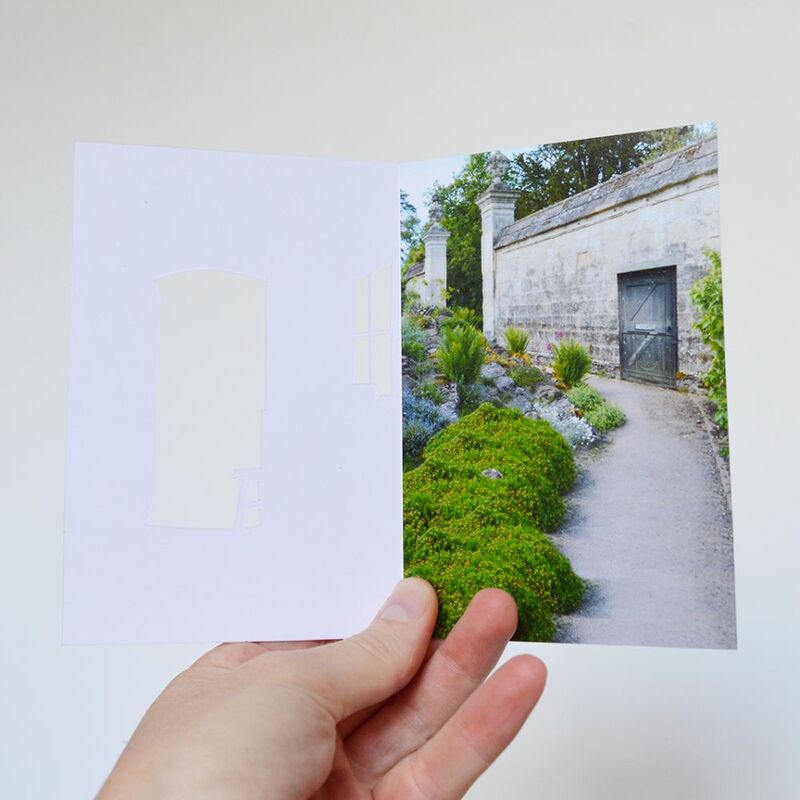 A hand finished greeting card with a cut out open potting shed door on the front, allowing you to peer through to glimpse a Oxford walled garden. 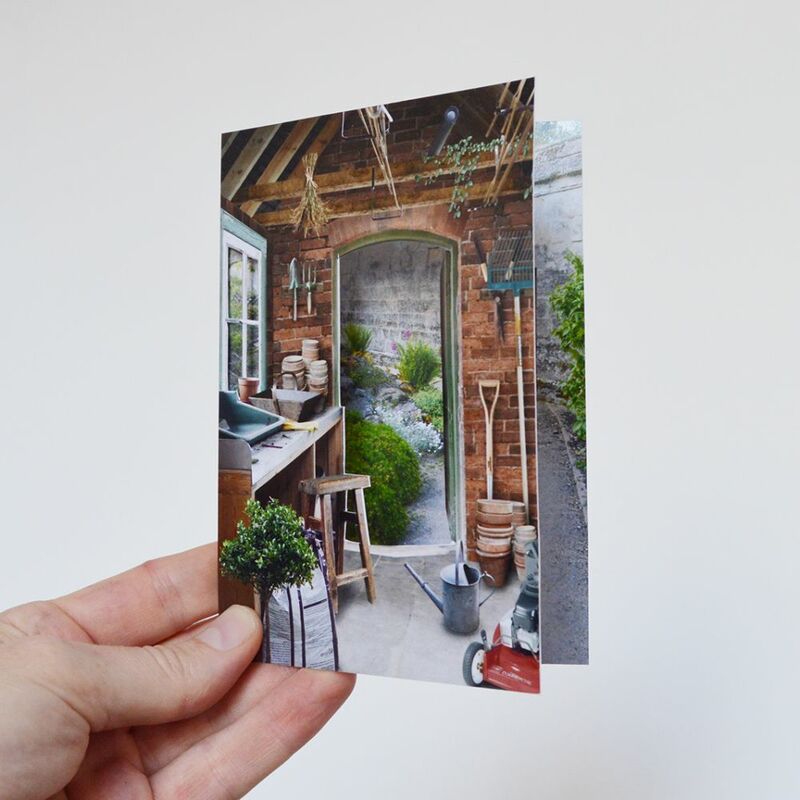 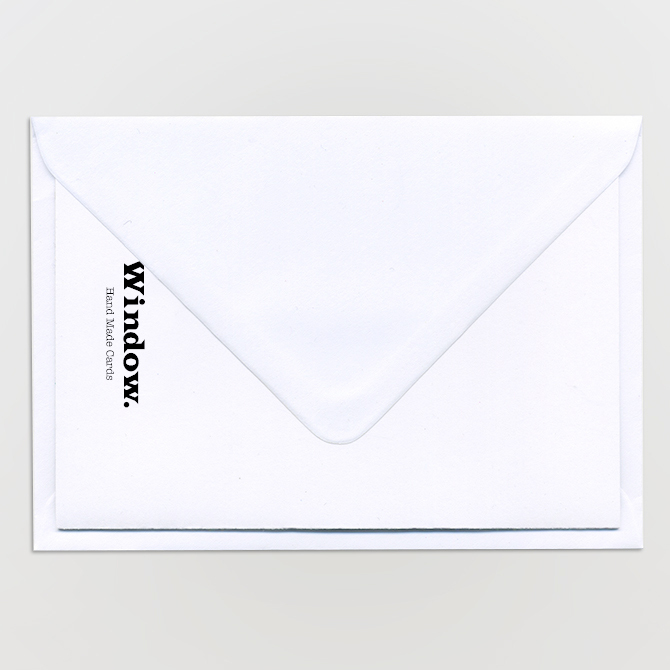 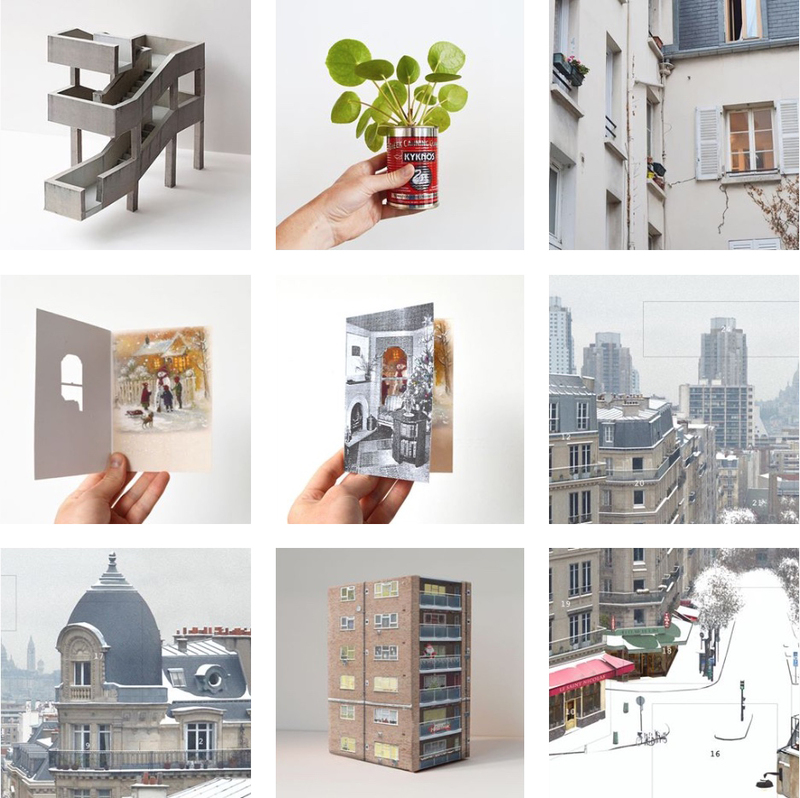 Digital Print on 400gsm card, with space to write on the back, comes with an envelope and measures 15cm x 11cm in size.